national bank of kenya Archives - Africa M.E. JOHANNESBURG (Reuters) – Africa’s major central banks are entering an easing cycle as they try to stimulate growth after months of drought, austerity drives and confidence issues across the continent, a Reuters poll found on Thursday. Much of southern and eastern Africa is still recovering after an El Niño-related drought wilted crops last year. Poor business confidence in South Africa and foreign exchange restrictions in Nigeria have also hampered growth. “We expect that African monetary policy is entering a widespread and protracted period of policy easing. This will provide a boost to growth,” said John Ashbourne, Africa analyst at Capital Economics. Ghana, which agreed a three-year fiscal discipline deal with the International Monetary Fund in exchange for aid in 2015, cut 100 basis points from its benchmark interest rate in May and is expected to do the same on Monday, putting it at 21.50 percent. Medians in the poll predict South Africa will make a first quarter trim of 25 basis points to 6.75 percent and while Kenya will hold steady on Monday it is expected to cut 100 basis points to 9.00 percent in the second quarter of next year. 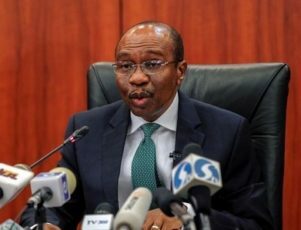 Nigeria is expected to hold rates at 14.0 percent on Tuesday, and through this year, but will reduce borrowing costs by 175 basis points across 2018. Aly-Khan Satchu, CEO of Nairobi-based Rich Management said policymakers in Africa’s biggest economies have lost credibility and it would be difficult to regain that. To try to reduce demand for dollars, Nigeria banned the importing of 41 items, but that only fuelled the gap between the official and black market rates for its naira currency. The policy, alongside a commodity price slump that hurt oil exports, has since 2015 forced its central bank to hike the benchmark rate 300 basis points to 14 percent as it tried to deal with much faster inflation and restore the currency’s strength. Nigeria — Africa’s biggest economy — fell into recession for the first time in 25 years in 2016 but is expected to turn in growth of 1.0 percent this year and 2.5 percent the following. South Africa is expected to expand 0.7 percent this year after escaping a six-month recession last quarter that was partly due to weak confidence and drought. Confidence in South Africa’s economy has been sapped by the chopping and changing of finance ministers four time since the end of 2015 by President Jacob Zuma. The last change in March triggered a credit rating downgrade to “junk” status. Kenya is expected to grow 5.2 percent this year and 5.9 percent next. Growth slowed to 4.7 percent in the first quarter, hit by a credit slow down after authorities late last year capped the interest banks could charge on loans. However, Ghana is expected to fare better than most, growing 6.1 and 6.8 percent in 2017 and 2018 respectively, supported by the IMF programme, recovering from 3.5 percent last year. On Tuesday, President Nana Akufo-Addo said Ghana would not extend its three-year aid programme with the IMF beyond April 2018, but the fund urged it to do so to allow time to complete the programme’s goals.